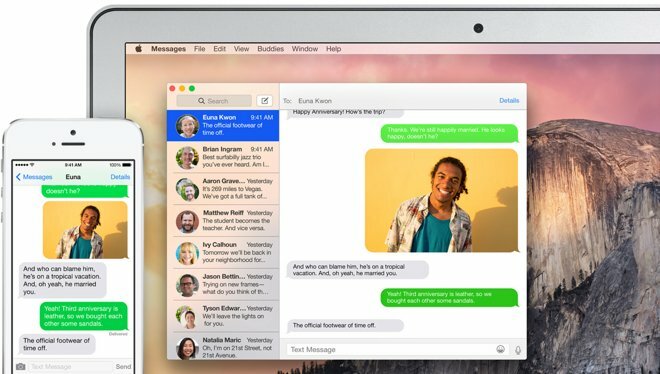 Since OS X Mountain Lion, Mac users have been able to send and respond to iMessages from other iOS devices, but those pesky green text bubbles from phones other than iOS were relegated to your iPhone. 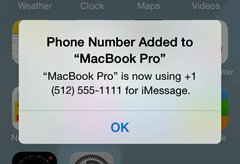 Now with Continuity, any message from any device, SMS or iMessage, will appear on iPhone, iPad, iPod Touch and Mac and can be responded to in kind. To enable SMS relay across your devices, you need to have an iPhone with iOS 8.1 and an active carrier plan. 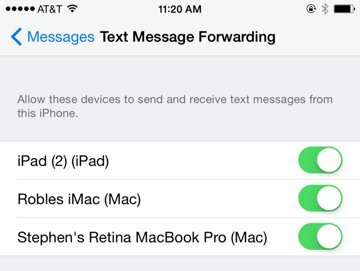 Any iPads running iOS 8.1 and any Mac that supports Yosemite will be able to receive and respond to SMS messages through Continuity. To begin, make sure you are signed in using the same Apple ID across all devices. 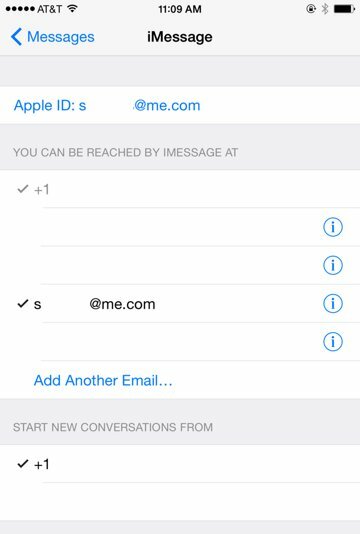 On iPhone go to Settings > Messages > Send & Receive to check which Apple ID is being used. Make sure both your phone number and Apple ID email address are checked. 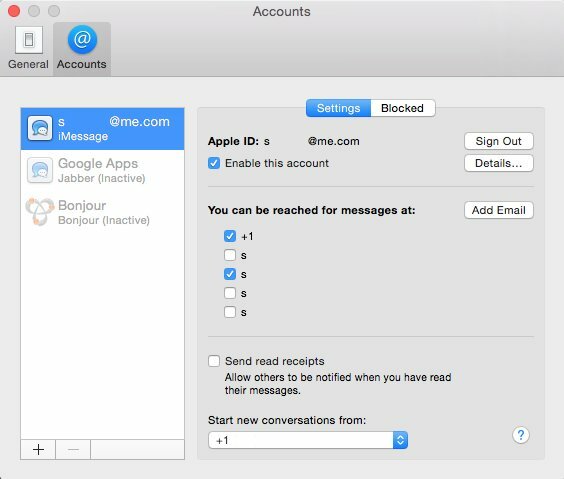 On iPad, also go to Settings > Messages > Send & Receive to be sure the same Apple ID is being used and your phone number and Apple ID email are checked. On your Mac, open the Messages Application and navigate in the menu bar to Messages > Preferences. Under the Accounts section, double check that the same Apple ID across devices is being used here. Under You can be reached for messages at: be sure the same phone number and email address are checked. Also, from the Start new conversations from: dropdown box, choose your phone number. 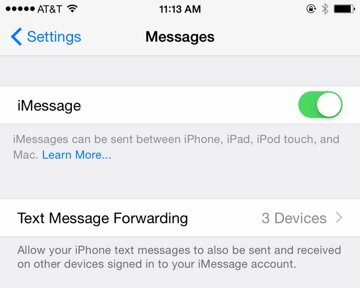 Return to your iPhone and go to Settings > Messages > Text Message Forwarding. Here you will see a list of devices using the same Apple ID. To enable a device for SMS relay, tap the slider to ON (green position). Each time you enable a device, a four digit code will appear on that device's screen. You'll be asked to enter that code on your iPhone to verify. Once the device has been added successfully, you will see a confirmation message on your iPhone's screen. 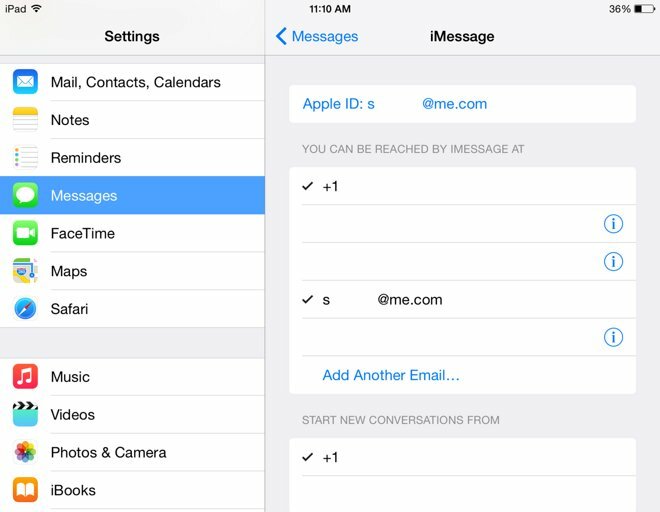 Enable all the devices you want to receive SMS and MMS messages here and you're done! SMS relay doesn't require Wi-Fi or bluetooth to be enabled, but if you experience problems during setup or use, try enabling them temporarily.